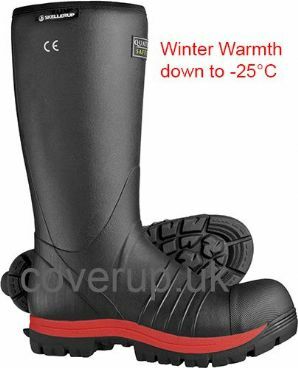 Keep your feet dry, safe, comfortable and WARM this winter, thanks to the 4mm neoprene fleece insulation in these high-quality, high-performance Quatro industrial boots. QUATRO is a new generation of quality, hand-crafted industrial rubber boots, made to a high specification to cope with the harshest working environments. Quatro wellingtons replace the Century 4000 and Lincoln Armasol ranges. Sizing is generous. Select one size smaller than your usual shoe size unless wearing very thick socks/liners. Also available in non-insulated; see separate product.